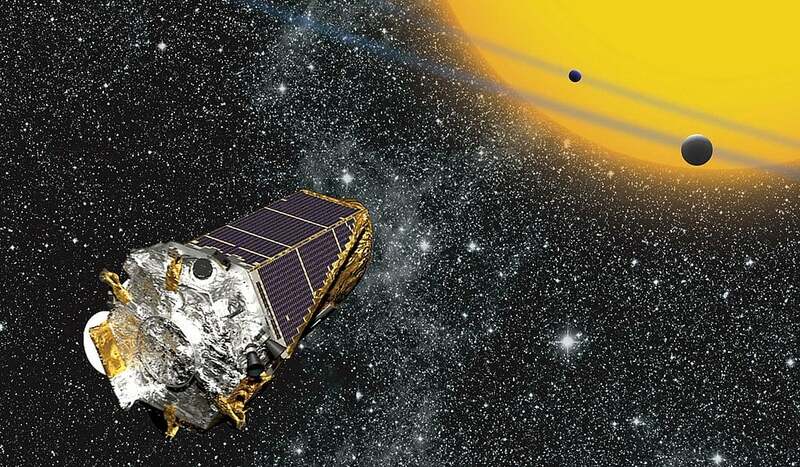 NASA’s Kepler Space Telescope is slowly, yet steadily running out of its reserve of gas. NASA isn’t capable of refilling its fuel in space either, and it is expected that soon the spacecraft is sentenced to a journey with no return. Since the Kepler Space Telescope is orbiting the sun at a distance of 94 million miles away from our planet, there is no other choice but to bid it a final farewell possibly in the near future. When the spacecraft runs out of all its fuel reserves, it is going to remain in orbit, although it won’t be able to maneuver itself or change its field of view, according to a statement on NASA’s website on Wednesday. When the spacecraft runs out of fuel, it won’t be capable of aiming at Earth in order to transfer the data it collects. That’s why scientists from the Kepler team are looking to gather as much data as possible before the telescope meets its end. The team can’t see the fuel gauge to specify the time, and more importantly, the Kepler Space Telescope hasn’t shown any warning signs that the team can detect. The spacecraft’s thrusters operate properly and there hasn’t been a drop in its performance yet. The Kepler mission was launched in 2009. When the spacecraft was launched, it had roughly 3 gallons of fuel, which would account for approximately 10 years of fly-life for the telescope. Sometimes, depending on the mission, reserve fuel remains in the spacecraft for its final mission, similar to the Cassini mission which plunged into Saturn’s atmosphere last year. Scientists want to avoid contaminating unvisited areas. Sending Cassini into the atmosphere of the gas giant, avoided contaminating Enceladus and Titan, two natural satellites of the planet. Also, satellites and other spacecraft that orbit our planet need to stay away from each other so they don’t collide into each other or fall to our planet, like China’s Tiangong-1 which is estimated to descend down to earth in about two or three weeks. However, given the circumstances of Kepler being so far away from Earth or any other planet that could potentially harbor life, scientists can leave it as it is, but meanwhile try to transfer as much scientific data as possible back to Earth. Kepler has already lived longer than originally expected, after its mission for hunting new planets unexpectedly ended in 2013. Four years after its launch, it malfunctioned and broke a wheel that was supposed to keep it at its original field of view. Nevertheless, scientists fixed it in 2014 and started their “K2” mission, that required it to change its field of view. Throughout its nine year mission, NASA’s Kepler Space Telescope discovered many of the 3,600 exoplanets that we are aware of in our galaxy.